Get a comprehensive overview of Florence during this 2-hour private tour. Whether it’s last minute or you just want to see the city’s highlights, this tour covers all the main attractions. 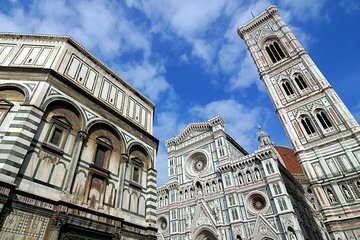 Visit the Santo Spirito district, Ponte Vecchio, Santa Croce Church, the famous Florence Cathedral, and much more throughout the tour. Listen to informative commentary from your guide and learn about the rich history of this Italian Renaissance city.